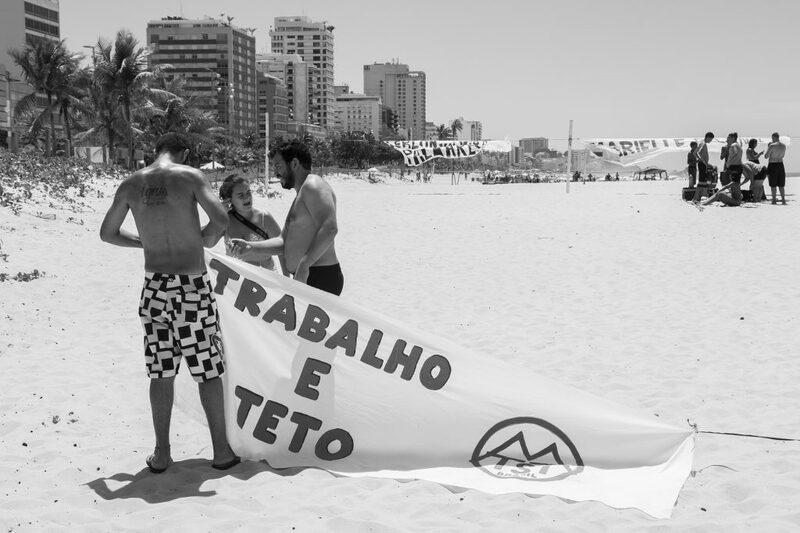 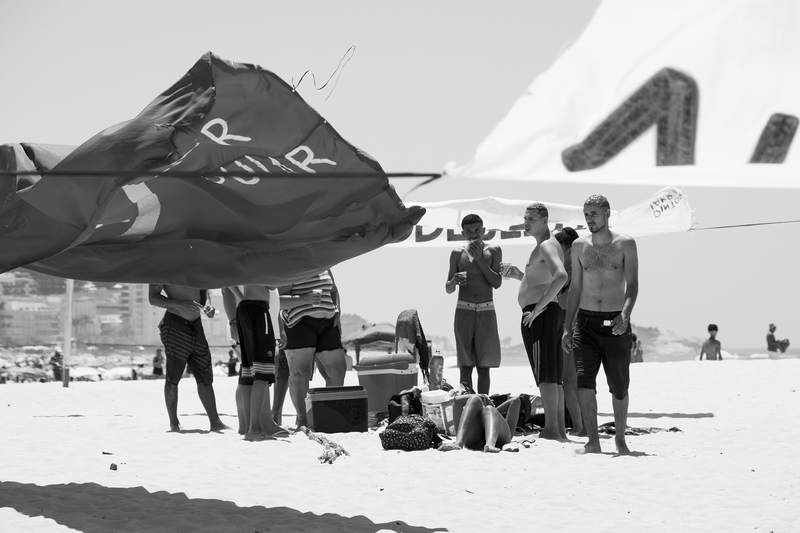 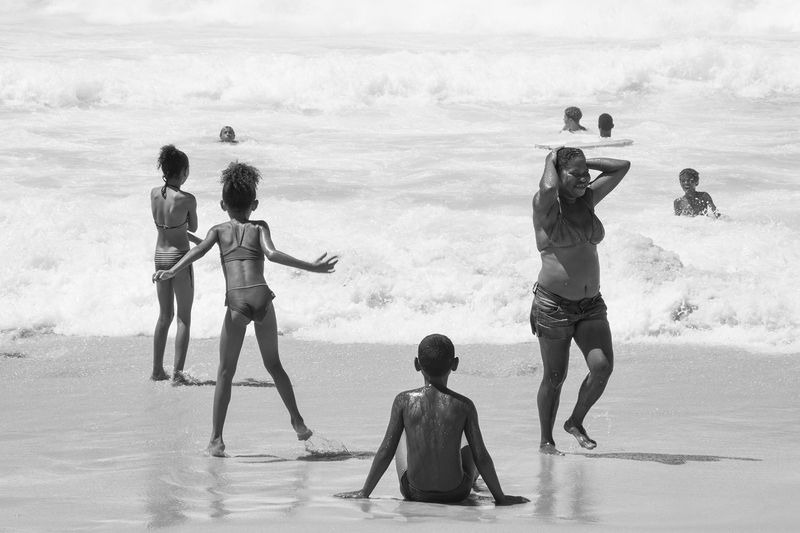 Landless Workers’ Movement (MTST) and Popular Brigades (BP) celebrated Black Awareness Month by occupying one of the most elite beaches in Rio de Janeiro. 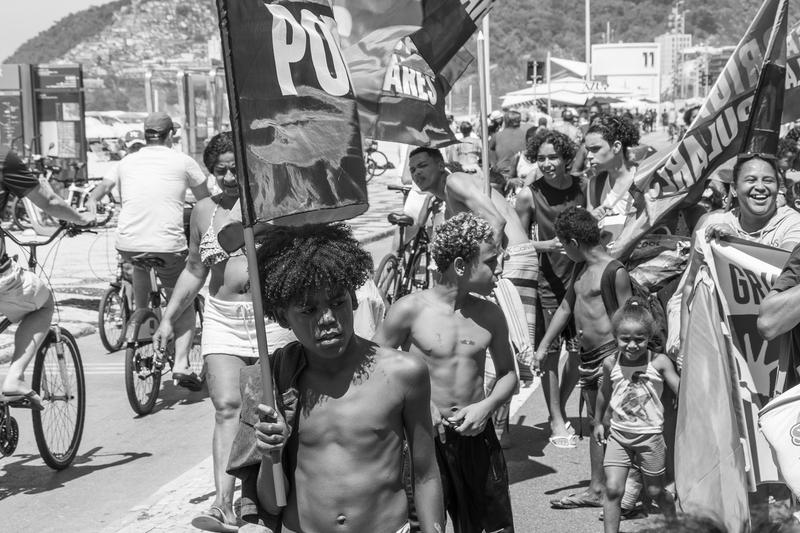 For the 5th time, Afro-Brazilians from the MTST and communities across Rio went to Leblon, in Rio’s South Zone, for the “Leblon Will Become Palmares” event, a peaceful celebration of black lives and rights. The event’s name is a reference to Quilombo dos Palmares, a community of fugitive slaves established during colonial times in the state of Alagoas, in Brazil’s Northeast, and a symbol of black resistance. 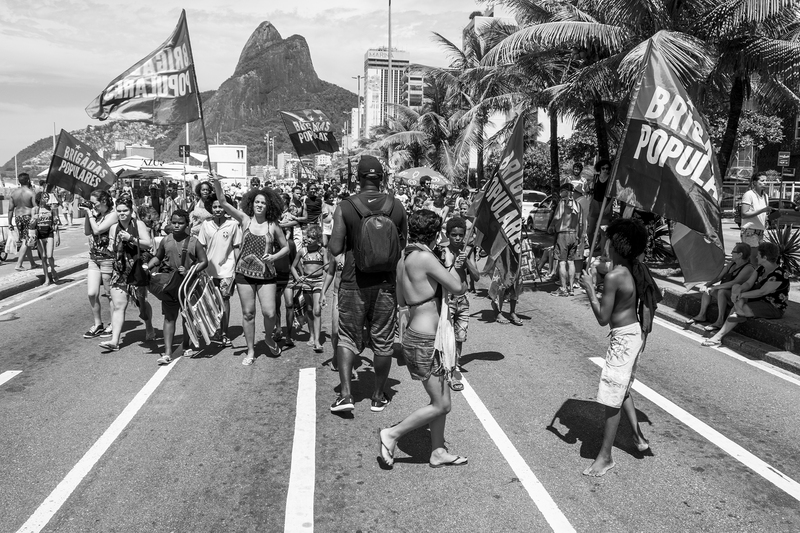 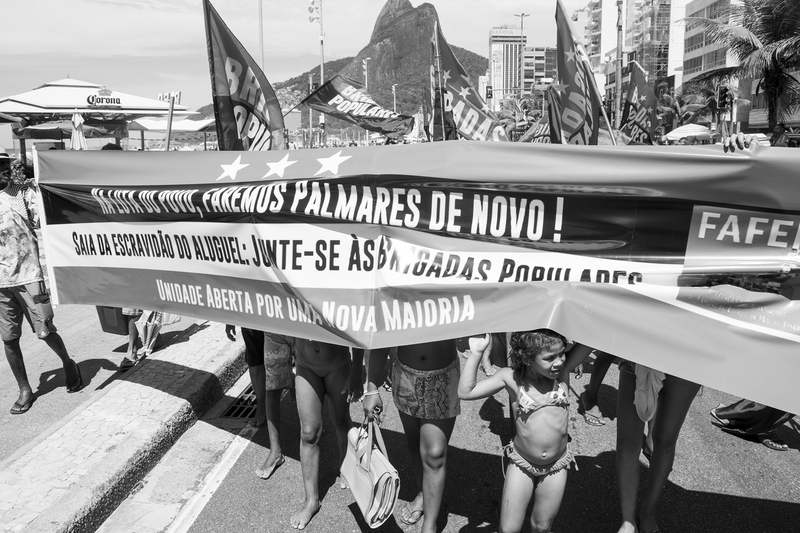 The action started with a march along the beach in Leblon. 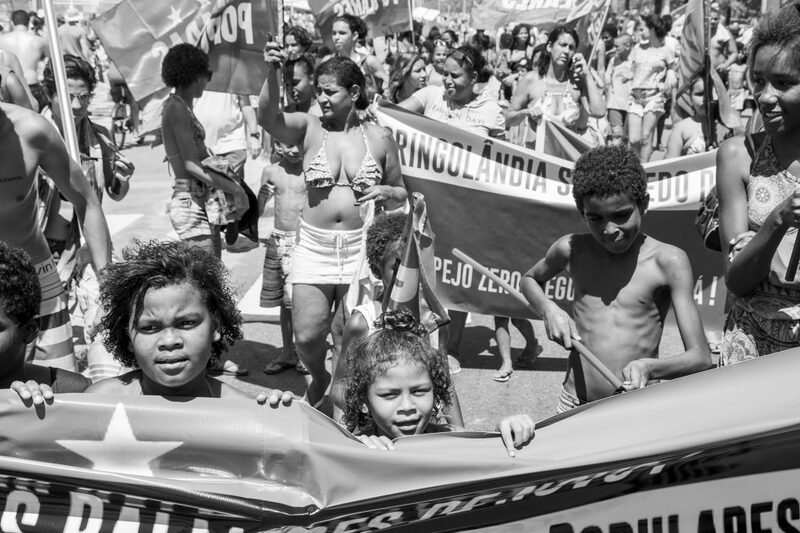 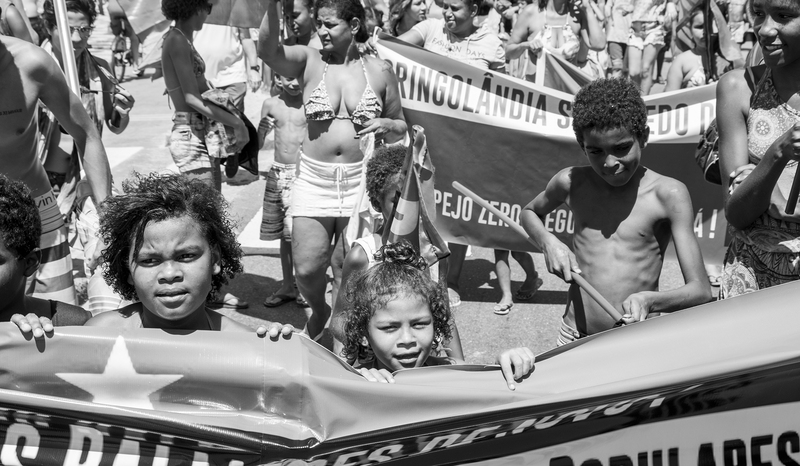 As many adults as children participated in the protest in remembrance of the struggle of quilombola leader Zumbi dos Palmares and all of the black people who suffered the effects of slavery and its present-day consequences. 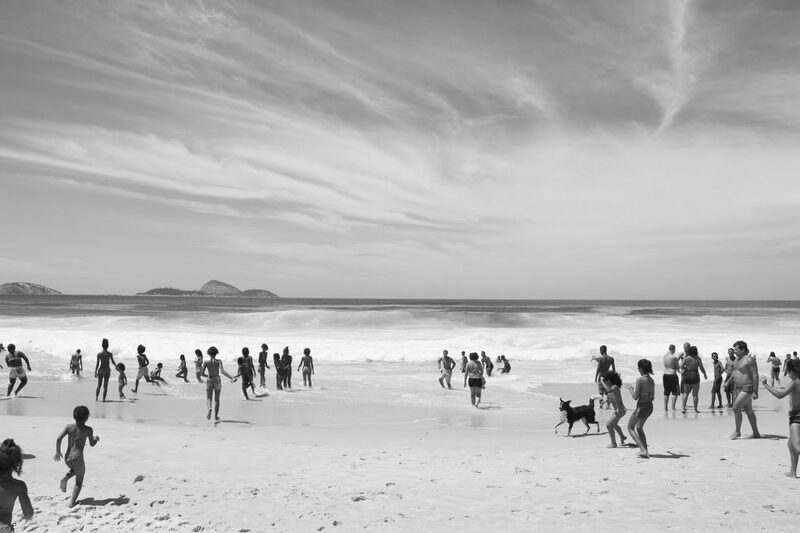 After the march, participants went to the beach in Leblon—one of the wealthiest neighborhoods in Rio de Janeiro—to enjoy a moment with friends and family at the sea. 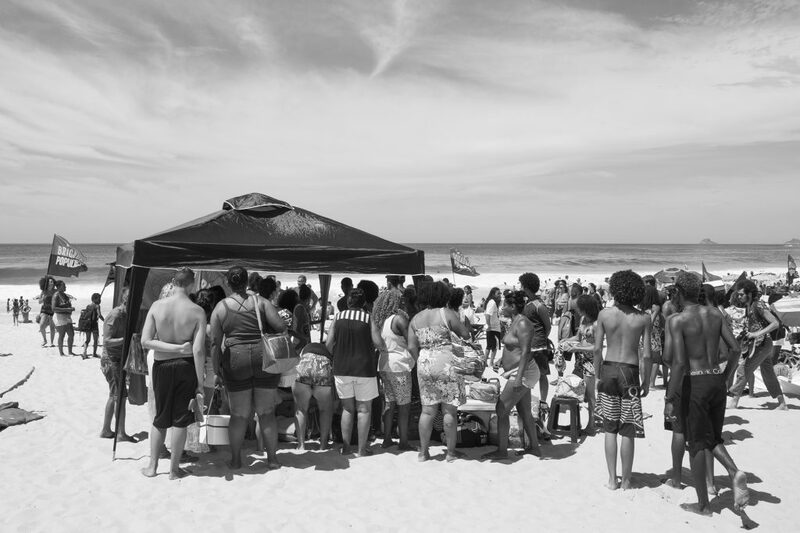 This article was written by Antoine Horenbeek, and published on November 20, 2018.